Type: Clutch Brakes Combination (Open / Closed Type) Double Clutches etc. We offer a wide array of Electromagnetic Multidisc Slip Ring Wet Run Clutch. Widely used in automobiles, these are known for its dimensionally accuracy, high performance and robust construction. For technical details, download the attached file. We are instrumental in offering Electromagnetic Clutches and Brakes (INTORQ 14. 105 / 115). 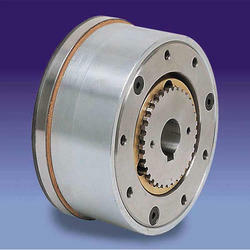 These brakes are used in machines with a central drive to control the speeds of secondary drives. Our electromagnetic clutches and brakes are appreciated for their fast operation, low vibration and smooth transfer of torque. 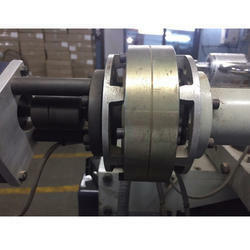 We are dealing in ElectroMagnetic Clutch For Circular Looms. The unit is pre-assembled on a single shaft. It functions similar to Type : ECL clutches. It is incorporated in applications where variable speeds and reversing of drives are desired. We are the leading manufacturer an optimum range of Electromagnetic Clutch. - Used for rapid cyclic operations. We are the leading manufacturer and exporter of Electromagnetic Single Face Clutch.